Irvine, Calif., is ranked as the No. 4 best place to live in America. 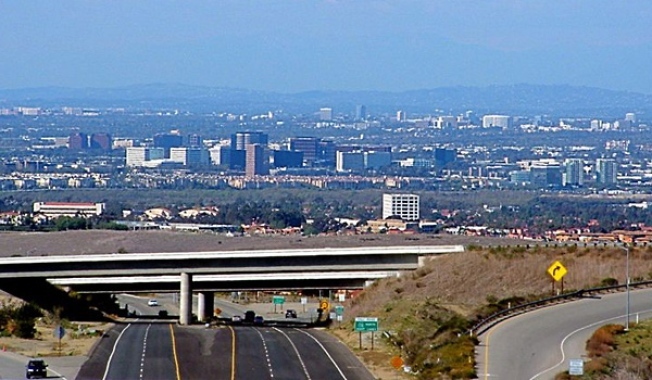 Irvine, Calif., has been ranked as the No. 4 best place to live in America. Irvine, which didn't break the top 100 in 2007 nor 2006, is now one of the best of the best, according to Money Magazine. The annual list, now in its third archived year, ranks the best small cities based on a variety of factors, including "economic opportunity, good schools, safe streets, things to do and a sense of community." The magazine praised Irvine's schools and its sense of community. "Today, its population hovers around 200,000, yet it feels much smaller thanks to its tight-knit neighborhoods and more than 16,000 acres of green space." One of the drawbacks of living in America's No. 4 best small town is the cost of housing. "A big drawback: the cost of housing. A typical three-bedroom, two-bath house can run about $700,000, says Cesi Pagano, a realtor with Keller Williams Realty. But prices in Irvine have held up better than those elsewhere in Orange County, and foreclosures aren't nearly as widespread." Also representing Southern California in the top 100 is Fountain Valley. The town (pop. 55,800) was ranked 91. "Fountain Valley modestly bills itself as "a nice place to live." Is it ever. Among its offerings: Mile Square Regional Park, a 640-acre park with two lakes; three 18-hole golf courses; a 20-acre nature area; and a recreation center with courts for tennis, basketball, racquetball and more."